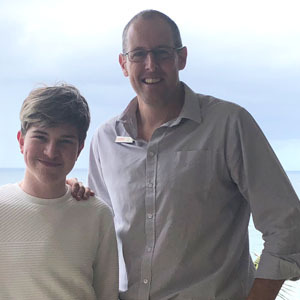 Wednesday, 24 October 2018, When 16-year-old Stuart Groves suddenly collapsed on an Umhlanga beach during a family holiday, his mother feared the worst. With no previously diagnosed heart condition, the last thing the family could have foreseen was that their apparently healthy son would suffer cardiac arrest during a light-hearted game at the seaside on a sunny April morning. “We ran to him and as I turned Stuart over, I could see that his lips, his face and even his ears were rapidly turning blue. It was unimaginably frightening,” says the young man’s mother, Mrs Jacqui Groves. Some 40 years previously, Mrs Groves had learned cardiopulmonary resuscitation (CPR) and this training was to make all the difference to her son’s survival. Mrs Groves and her husband immediately started CPR while eThekwini lifeguards called for assistance from emergency medical services. Off-duty Netcare 911 regional operations manager for KwaZulu-Natal, Gary Paul, and a colleague were heading to a nearby beach when Gary heard an urgent notification come through from the Netcare 911 contact centre, alerting paramedics to the medical emergency close by. Realising their proximity to the scene, Gary and his colleague immediately headed there and arrived within four minutes to find the lifeguards performing CPR. “Stuart’s heart had stopped beating and he had no vital signs. We immediately began performing advanced life support, and a doctor who happened to be on the beach at the time came over and also offered her assistance,” Gary says. “At the time we didn’t have the opportunity to reflect on the situation, but it was an unbelievably touching moment that has stayed with me ever since. It was a bright, sunny morning on this beautiful beach, yet here in this idyllic setting was a young man fighting for his life, his parents anxiously watching for any signs of Stuart reviving, and a crowd of bystanders fervently praying for him as we worked to save his life,” Gary recalls. Some 40 minutes later, after the Netcare 911 team had administered a series of therapeutic electrical shocks, known as defibrillations, Stuart finally began breathing on his own. Once Stuart was stable enough, the paramedics transported him to the emergency department at Netcare uMhlanga Hospital where an experienced team of doctors and trauma nurses were waiting to receive Stuart. Mrs Groves describes her son’s recovery as “nothing short of a miracle”, and says that today Stuart is healthy and performing well at school. Gary agrees that Stuart’s recovery has been extraordinary, and he attributes the positive outcome to the ‘chain of survival’, which is a principle of emergency cardiac care that includes early recognition of cardiac arrest, activation of appropriate emergency medical services, immediate CPR and early defibrillation, as well as advanced cardiac life support and in-hospital treatment for post-cardiac arrest. “When you join emergency medical services, it is a vocation. Even if we happen to be technically ‘off duty’ at the time, we are always ready to save a life when the need arises. I always have my equipment in the car so that I’m prepared for a situation such as the one that unfolded on the beach that day,” he adds. 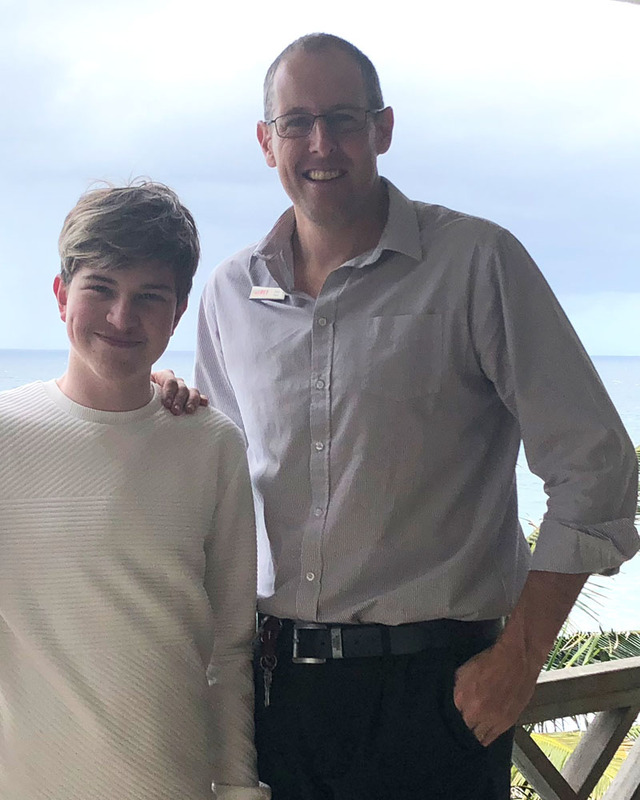 The Groves family were recently reunited with Gary as they hosted a lunch to celebrate what they refer to as Stuart’s “rebirthday” – the anniversary of the day when his life was saved thanks to the efforts of each person who contributed to his survival. “As a family, we are so grateful that our precious son was given this second chance. As a mother, every day I shudder to think how differently things might have turned out and give thanks for how fortunate we are that everything worked out as well as it did for Stuart,” Mrs Groves says. “From the parents’ prompt recognition of Stuart’s cardiac arrest and the fact that they immediately started CPR, which was then taken over by the eThekwini lifeguards, to the advanced life support and defibrillation we were able to provide at the scene, followed by the excellent care Stuart received at Netcare uMhlanga Hospital – the chain of survival was maintained, and thanks to this, a promising young man is alive today with the world at his feet,” Gary concludes.